On November 30th I ordained a deacon, two M'Samronos, two Khoruyos and three Afathyakhnos at St. James of Serugh Syrian Orthodox Church, Sunland, CA. I also authorized four women to be part of official choir as singers with their uniform. This parish is a Mission Parish of Malankara Orthodox Syrian Church under my care since 2009. 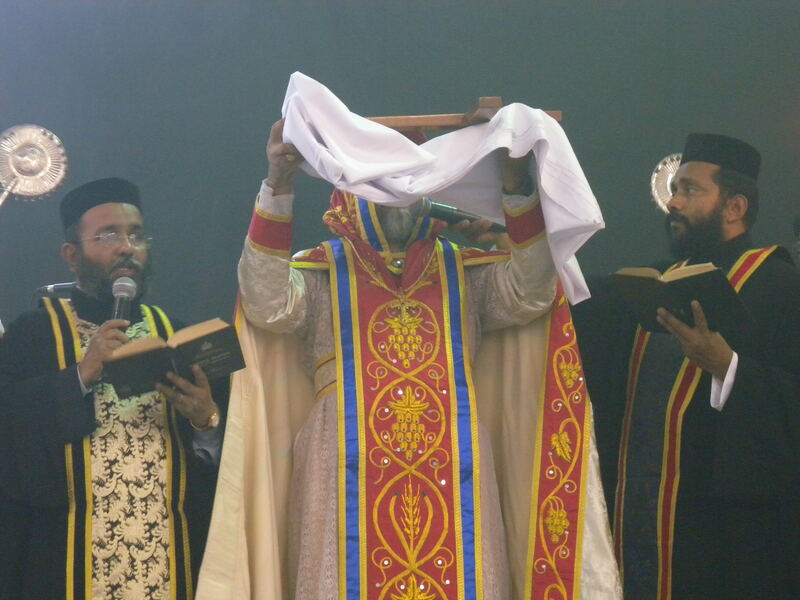 This was the fifth Anniversary of the Parish under Malankara Orthodox Church. They are quite happy with our leadership. The day on Sunday April 21st began with H. Qurbana in the morning at St. James' Orthodox Church, Sunland, CA and then tea at the banquet hall of the Church and further a photo session inside the Church. Later a Dinner in hosted by the board of trustees of the Church honor of the heir diocesan bishop in a Mexican restaurant and before the day ended a tea and chat session at the vicar's residence. I had the second service on November 11th, 2012 of the current visit to my mission at Sunland St. James Orthodox Church. The service was followed by lunch hosted jointly by Board of Elders and Board of Trustees in honor of their bishop. Video made of pictures of the events is uploaded to Youtube.